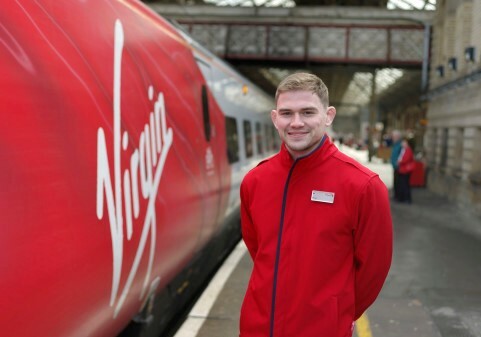 A Virgin Trains Station Announcer based at Preston is switching his microphone for the wrestling ring at the 2018 Commonwealth Games for the next two weeks. Philip Roberts, 28, has flown to the Gold Coast in Australia with the England Wrestling team. This year is the third Commonwealth Games Philip has attended as part of his Wrestling career – he previously competed at Glasgow in 2014 and Delhi in 2010. Philip’s role this year is to help his team mates prepare for their matches, however he may be required to step in and compete. Philip, who has worked at Preston station since 2015, started competing at the age of seven and in 2016 he won Gold at the English Senior Wrestling Championships in 2016. When he is not making announcements at Preston Station or competing in the wrestling ring, Philip is a children’s coach at Aspull Warriors Wrestling Club in Wigan – where he himself has been training since it opened in 2015.